Let me be clear—something isn’t working with my program. However, I think the idea is solid. Also, by writing this I might be able to figure out my problem. In this expression, L is the angular momentum, r is the position vector, and p is the linear momentum. Here &omega; is the angular velocity vector for a rigid object and I is the moment of inertia tensor. Ok, let’s get started. I’ll begin with a simple case and move to more complicated stuff. A particle has a mass m and moves with a constant velocity (no external forces). What happens to the angular momentum? Here is a python program for a free particle in which I also calculate the angular momentum. This is just a picture – you need to go here to run it. Here is a plot of the z-component of the angular momentum in this case. Notice that it’s constant. Oh, I assume you know about cross products—they are in vpython, so you don’t have to do it manually. So, yes—angular momentum is conserved. No big surprise there. But what if you change the origin? Is angular momentum still conserved? Try it. There is very little point looking at the moment of inertia. I’ll do that next. Single object constrained to circular motion. I want to get an object moving in a circle—but I don’t want to make some crazy constraint. This sounds like a job for THE SPRING. Yes, I will model an object moving in circular motion by using a spring attached to the object and some stationary thingy. Here is the code. Here is what it looks like. If you calculate the angular momentum (from the linear momentum), here is what you get. It doesn’t look constant—but I think that’s just a rounding error. Reminder: this is the angular momentum from . What if I use the moment of inertia and the angular velocity? Do I get the same thing? Using a stationary pivot point can cause some problems. Since the pivot point is stationary, there must be some external forces on the system. This means that calculating momentum and angular momentum can be difficult. Here is the program. Here is what it looks like. Yes, these are two unequal masses but the center of mass is stationary. Also, I will skip the graph, but angular momentum (the z-component) is constant. Here is a different (but similar) version of the program in which I also calculate the moment of inertia version of the angular momentum. Everything seems to work—until it doesn’t. In this case, the 1r subscript means the position relative to the center of mass and the momentum relative to the center of mass. The com subscript means center of mass. But this is where I will stop. For some reason, I can’t get a constant angular momentum using the moment of inertia. Here is the plot of the component of momentum for the case when the center of mass is moving. I feel like I am making some silly mistake. So, here are some notes and comments. Maybe I am calculating the relative velocity incorrectly. Maybe it has something to do with my definition of the angular velocity. 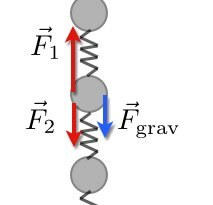 Note that the two masses can have slightly different angular velocities since this isn’t actually a rigid object—it’s just mostly rigid (stiff spring). I feel like I have so many different programs, that I’m losing track of what works (that’s why I wrote this blog post). What’s the next step? Well, after getting this calculation to work—I have big plans. The ultimate goal is to have a 4 mass rotator (4 masses connected by springs) and calculate the moment of inertia and the angular momentum. I would be very happy if I could show that the angular velocity vector doesn’t have to be in the same direction as the angular momentum vector. That would be cool. So here is the deal. I had this idea. The plan was to include numerical calculations into the intro physics curriculum by writing a sort of online textbook. Or maybe just redo my Just Enough Physics ebook to include more numerical calculations. Anyway, this is what I came up with. It’s written with trinket.io – an online implementation of python that pretty much rocks. Here is my curriculum (it’s incomplete – but totally free). It’s free and online. That’s mostly good – but I don’t know if online is the best format for physics. There is one thing about trinket.io that makes this rock. There is python RIGHT IN THE PAGE. Readers can view and run code – no logging in, no saving, nothing. Just edit and run. No barriers. It has the same idea as Just Enough Physics in that it goes over the basic stuff – but doesn’t overload the student with tons of different ideas (no fluid dynamics, waves, buoyancy, sound…). It’s not that those are bad topics, it’s just too much. Too much. Homework. Students want homework questions. I sort of added those in – but students seem to want traditional homework questions. Now for the part that needs work. Well, all of it needs work – it’s not complete. But I made an error – I figured I would finish this curriculum as I was using it to teach the summer session of physics, but the pressure was too much. In the end, I think I made it too much like the traditional format of a textbook (with the traditional order of topics). Really, I started along the best path – but went off the rails when I wanted to do a problem that involved new physics. So, I just added that new stuff in there. I need to rethink just what I want to cover – and here is my new plan. Kinematics in 1-D and 2-D. I like starting with kinematics because students can model motion and this works great with numerical calculations. The one problem is that you have to use acceleration instead of change in momentum – and this messes up with my momentum principle. Actually, maybe I will just do 1-D motion so that I don’t need vectors. Forces. I don’t really want to focus on forces and equilibrium, but the students need this to do more stuff. In this, I need to do the following. Vectors. Boom – need vectors. Special forces: gravity, real gravity, maybe Coulomb force. What about friction, and forces of constraint (like the normal force)? Here you can see how it gets out of hand. Friction is super crazy if you think about it – so are normal forces. What if I just did simple forces – like pushing with your hand or rockets? Momentum Principle. Here I need to make a connection between forces and motion. Since I used acceleration before, I need to make a connection between the momentum principle and . Honestly, I hate calling this Newton’s Second Law – it seems wrong. But what about circular acceleration? How do you deal with that? I don’t know. Maybe just avoid it for now. Work Energy Principle. I think this is mostly ok – except I need to introduce the spring force and spring potential energy. Angular Momentum Principle. My initial idea was to cover “Three Big Ideas” – momentum principle, work-energy, angular momentum principle. However, there is SO MUCH baggage associated with angular momentum principle. Much of this stuff is just beyond intro-level students. I think I have a new plan. Start with kinematics in 1-D. Forces – but simple stuff. No friction. No normal forces. All the examples will be in space or something. Momentum Principle and acceleration. Again, normal stuff. No forces of constraint. Mostly space stuff because that will be fun. Projectile motion stuff too. Work-Energy Principle. Springs, gravity, dropping objects. Orbits. Special cases. Instead of Angular Momentum, I’m going to go over forces of constraint, friction, normal forces, circular acceleration. The end. Oh, I need to make sure there are plenty of exercises for students. Rewrites coming. The following are some of my best posts about numerical calculations. Time is up. There are no more excuses to leave numerical calculations out of introductory physics classes – here is why. How do students adjust to using numerical calculations in a physics course? Here is a summary of student opinions about coding. What exactly is a numerical calculation anyway? It’s the process of breaking a problem into many smaller problems. Here is an older overview with an example of a mass on a spring. My interview with trinket.io – sloppy code is good. How do you teach numerical calculations (python) to high school teachers? Here are some details on one of my workshops. 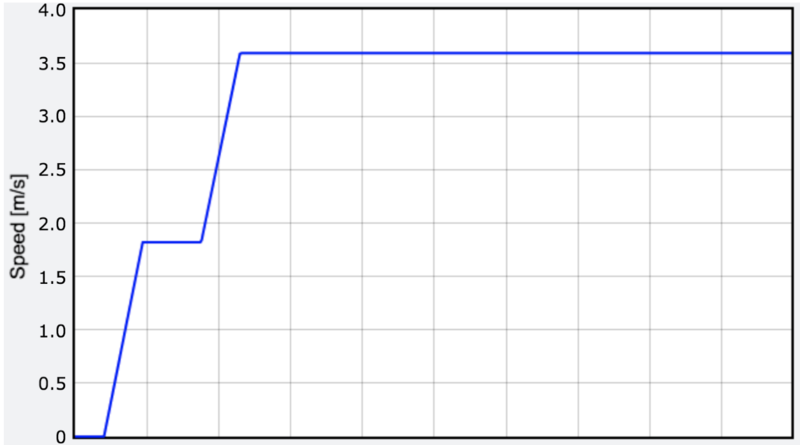 This is not a numerical calculation, but once you start using python you can see how functions change. Here is an example of the forces needed to hold a block against a wall at different angles. Numerical calculations let human solve problems that could not otherwise be solved. My favorite example is the Three Body Problem. What about the motion of an object falling with air resistance? It’s not impossible to calculate on paper – but it’s much easier with python. Another example – a curving soccer ball modeled with python. 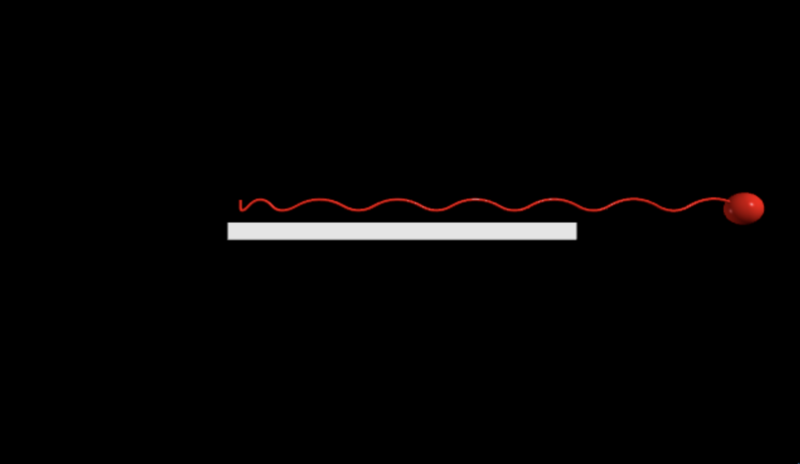 Modeling a sagging cable as a series of masses connected by springs. Why are planets spherical? Modeling planet formation with a bunch of smaller masses. Random walks in 1D, 2D, 3D, and 4D. Modeling the light reflecting off a mirror with Fermat’s Principle and python. 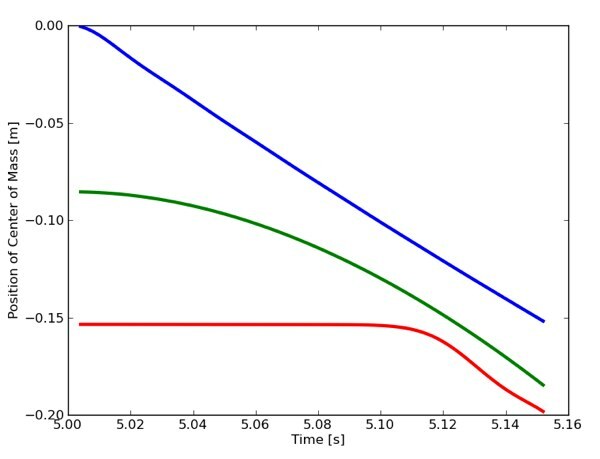 Modeling the motion of a falling spacecraft (with air drag) – Tiangong-1. Numerical solution to the Brachistochrone problem. 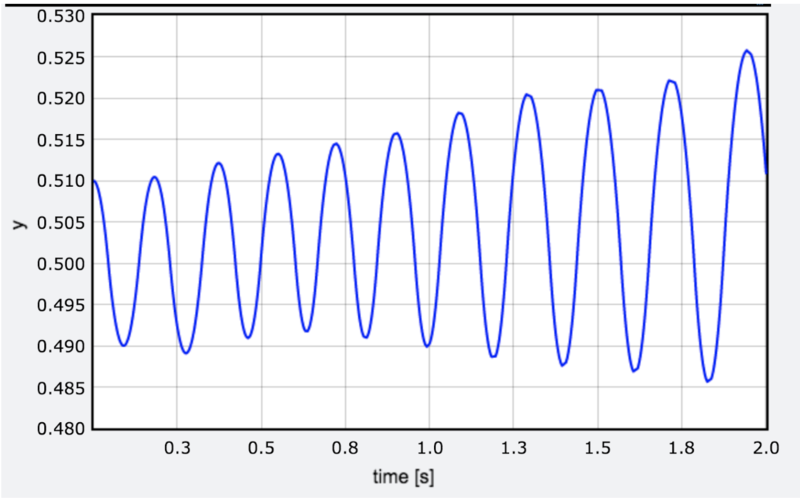 Pendulums are actually more complicated than you thought – here are three ways (with python) to model the motion. Determining the speed of light by looking at the moons of Jupiter – modeled with python. Calculating and visualizing electric field vectors with Vpython. Using functions to find the maximum range of a projectile. Electric field due to a charge distribution with numerical calculations. Numerical calculations for energy levels of a particle in a box (quantum mechanics) using the shooting method. How long does it take a pencil to tip over? Numerical calculations for Gauss’s Law and a cube. Here is the trinket code for the Guass’s Law cube. How would Thor punch The Hulk? Modeling collisions with python. Numerical calculations for mere mortals. This is the stuff I use for my intro (algebra-based) physics courses. It’s an online “book” that starts off with simple 1D stuff. Python Tutorials – for calc-based physics. This is a bit more advanced python stuff – but again it’s an online “book” with code right in it. I started making stuff for advanced physics – but didn’t finish. Finally, I attempted to make a large online book with coding from the beginning. It’s not finished and I need to rethink some parts – but it’s here. I’ll be honest. I had some problems getting my bouncing ball running model working. Oh, here is the model. 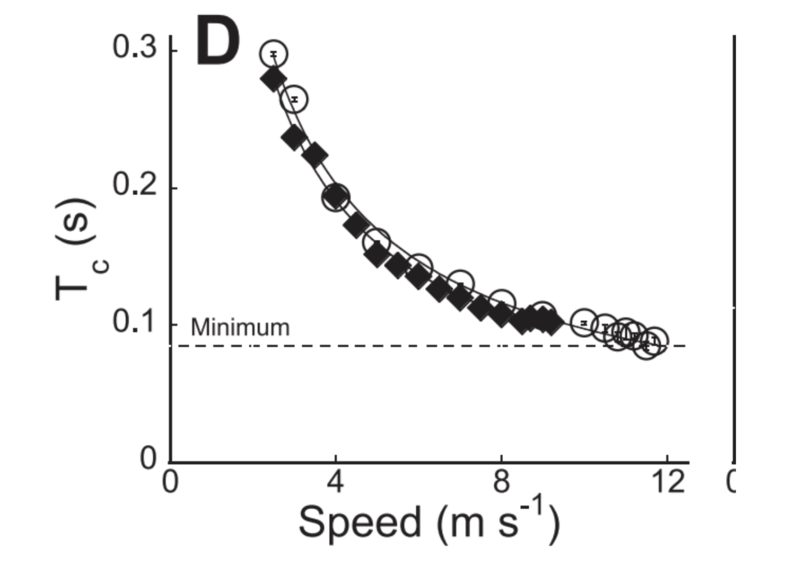 Basically, this models the speed of a running human by assuming they are bouncing ball. When the human impacts the ground, there is some maximum impact force and an impact time. The impact time decreases with horizontal velocity such that eventually, all the force is used in the vertical direction to keep the human off the ground long enough to switch feet in the air. The end. As I was making this model, I took some notes because I couldn’t get it to work. Here are my notes. Hopefully you can use this to see how to troubleshoot a program. It appears there is something wrong with my Fx. Fx is some value for the first push – but after that it goes to zero and the Fv is maxed out. How about a min time – and it can’t go lower? 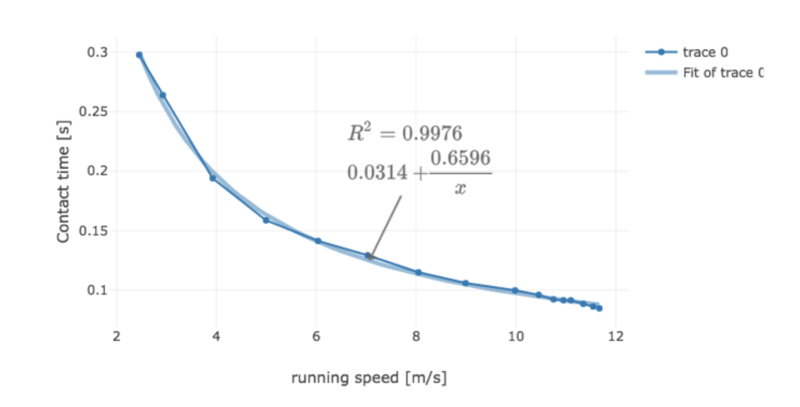 I think the problem is that during the contact time, the horizontal force is too much so that the human ends up going faster than the theoretical speed. End of notes – it finally worked.